We offer many services from furniture repair to re upholstery. All work is done to the highest standards. Using fabric that you chose from our large selection, all pieces are torn down to the frame, and returned to like new status. Any needed repairs are also performed at this stage. Foam replacement and other services are also available. Foam replacement at affordable prices. Pet damage. Frame damage or over worked springs are able to be repaired. Repairing your existing furniture can be done at a fraction of the cost of new. Wood pieces are hand stripped and sanded to remove damage or defects until the original luster is returned. Update an outdated look or repair damaged pieces. From one piece to a whole restaurant you will receive the same quality service. Many lines of vinyl are available to insure correct color match. 24 hour service is available. For the comfort of patients and staff. Reupholster and or re foam exam chairs, waiting room chairs, stools and most other commercial furnishings. Commercial or private. Re upholstery and foam replacement available for cars, trucks, suvs, and heavy equipment. Repair of newer vehicle seats is also available. Specializing in custom designs for classic, collector car and motorcycles. Large selection of material for your boat interior. From a simple repair to a whole interior Mark Shaw Upholstery can accommodate you. As a collector or a motorcycle enthusiast, you can be assured that your seat, whether custom or original, will meet your highest expectations. 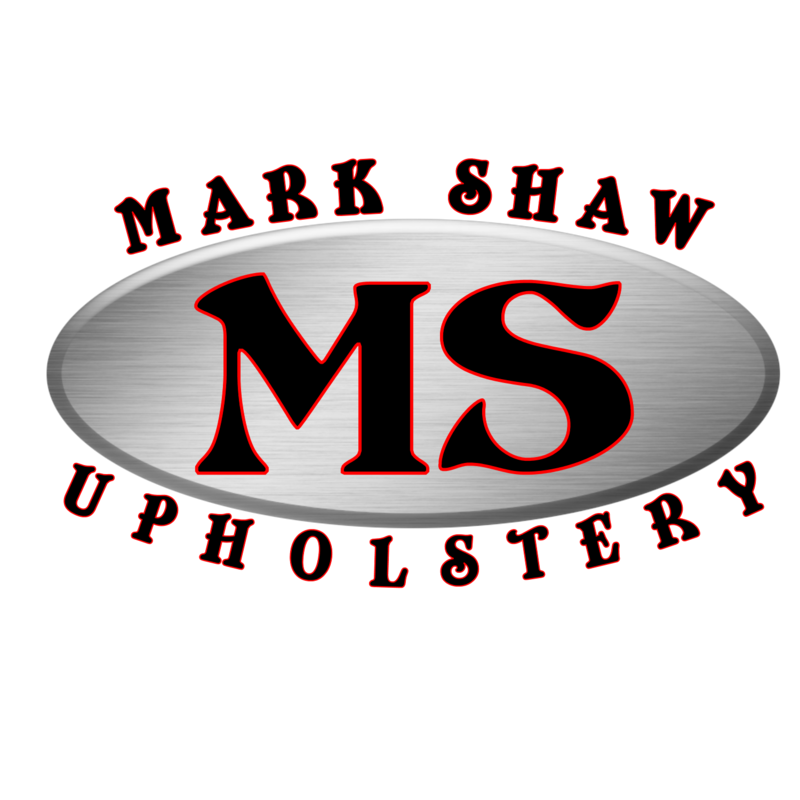 No matter what service you are having Mark Shaw Upholstery provide , you can be assured that you will be recieving the highest level of service and customer satisfaction. Visit our About Us page to learn more. I would like to thank you for your courteous and professional service. My furniture looks better than it did when we bought it new! You will be highly recommended to all of are friends and family. Call us anytime to discuss any of our services.